It appears that Muammar Gaddafi has taken posthumous revenge, as former French President Nicolas Sarkozy was detained Tuesday over allegations that his 2007 presidential campaign was funded by the Libyan leader, Sputnik contributor Igor Gashkov notes. Despite their close friendship at the end of the 2000s, Sarkozy turned his back on his former partner. Paris played a key role in overthrowing Gaddafi's rule, as well as the Libyan leader's death. After his armored vehicle had been struck by a French missile, Gaddafi was captured by his opponents and killed. 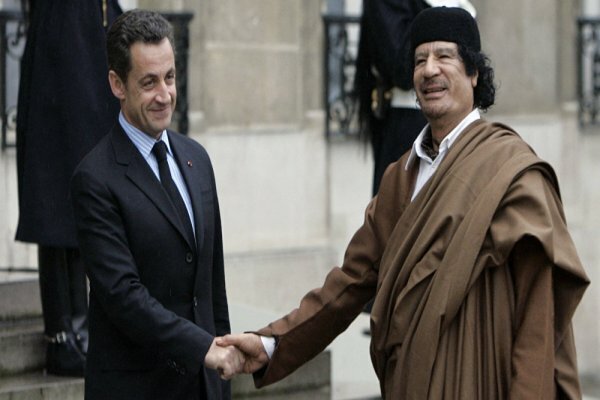 Rumors that Gaddafi helped Sarkozy to assume the French presidency emerged in 2011: During NATO's bombing of Libya, Gaddafi's son Saif al-Islam publicly called upon Sarkozy to "give the money back." In 2012 the French independent online investigative magazine Mediapart published documents written in Arabic and allegedly signed by Gaddafi's intelligence chief Moussa Muhammad Koussa. The agreement envisaged the payment of a sum equivalent to 50 million euros ($68.5 million) to Sarkozy for his presidential campaign. If true, it would mean that Sarkozy's team exceeded the 21 million euro limit stipulated by the country's law at the time. Additionally, the alleged payment contradicted French legislation on foreign funding. Sarkozy vehemently rejects the allegations. Nevertheless, an investigation into the apparent bribery was launched in 2013. Meanwhile, Franco-Lebanese businessman Ziad Takieddine, revealed in 2016 that he had personally transferred 5 million euros ($6.3 million) in cash from Gaddafi's brother-in-law Abdullah al-Senussi to Sarkozy's former chief of staff Claude Gueant. Speaking to Mediapart, the businessman specified that he had made three trips from Tripoli to Paris between late 2006 and early 2007, each time delivering suitcases with 1.5 to 2 million euros ($1.84 to $2.45 million) in them, in €200 and €500 banknotes. "The ex-French president tried to discredit his accusers, citing contradictions in testimonies," Gashkov noted. "It is still unclear how much money was involved — 5 or 50 million euros. The French banking system failed to track the transfer of money." The journalist drew attention to the fact that Sarkozy rented a giant safe in one of the French banks during his presidential race. On the other hand, it is known that Gueant, who is accused of receiving part of the bribe, has not withdrawn cash from his account for many years: It is suspected that he used Gaddafi's banknotes. 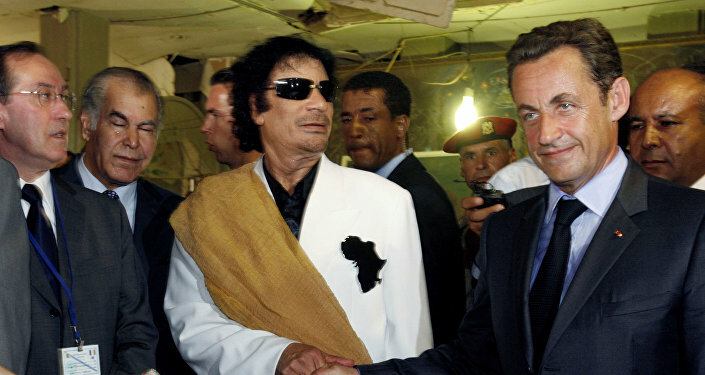 Meanwhile, another suspect allegedly involved in funneling money from the Libyan government to Sarkozy, Alexandre Djouhri, the former French president's aide, was arrested in London in January 2017. In April 2017 the British justice system will decide whether to extradite him back to France. Gashkov pointed out that Djouhri's testimony could become a turning point for the investigation on the alleged bribery. However, it is unclear whether he will be able to testify: His health is hanging in the balance due to recent heart attacks. At the same time, Claude Gueant could also shed light on the murky agreement struck by Sarkozy with the Libyan leadership. It is presumed that Gueant received a portion of the bribe from Ziad Takieddine. Earlier this year, he was probed in the investigation over receiving 500,000 euros ($613,555) from a little-known Malaysian art collector. The former politician claimed that the money came from the sale of several 17th century paintings. However, it is unclear whether Gueant really possessed them, Gashkov underscored. The journalist highlighted that on the eve of the transaction in question a large sum of money was transferred by a Saudi Arabian businessman to the account of the Malaysian. Gashkov cited a series of dubious events supposedly related to the Sarkozy case. Thus Shukri Mohammed Ghanem, Libya's former minister of oil, who previously accused Sarkozy of receiving money from Gaddafi was found dead in Austria on April 29, 2012. Another Gaddafi's associate and treasurer, Bashir Saleh Bashir survived a gun attack in South Africa this February. 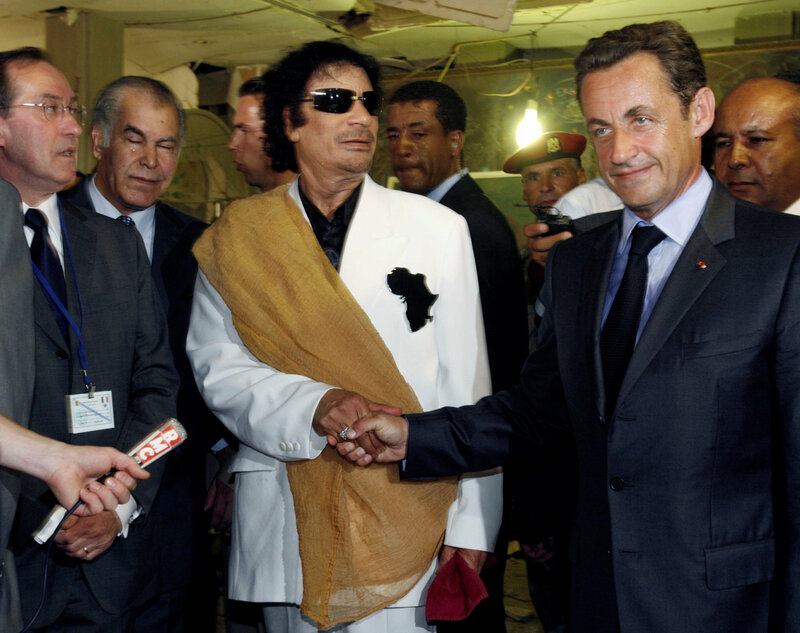 Meanwhile, Saif al-Islam Gaddafi has welcomed Sarkozy's arrest. In an interview with Africanews.com Saif al-Islam refereed to key witnesses who could testify against the former French president, including Abdallah al-Senussi and Bashir Saleh Bashir. He told the media outlet that al-Senussi has a recording of Sarkozy-Gaddafi meeting which took place prior to the 2007 election campaign. It was also reported that Saif al-Islam Gaddafi is going to take part in Libya's presidential elections this year. On March 19 his candidacy was announced by the Libyan Popular Front party.